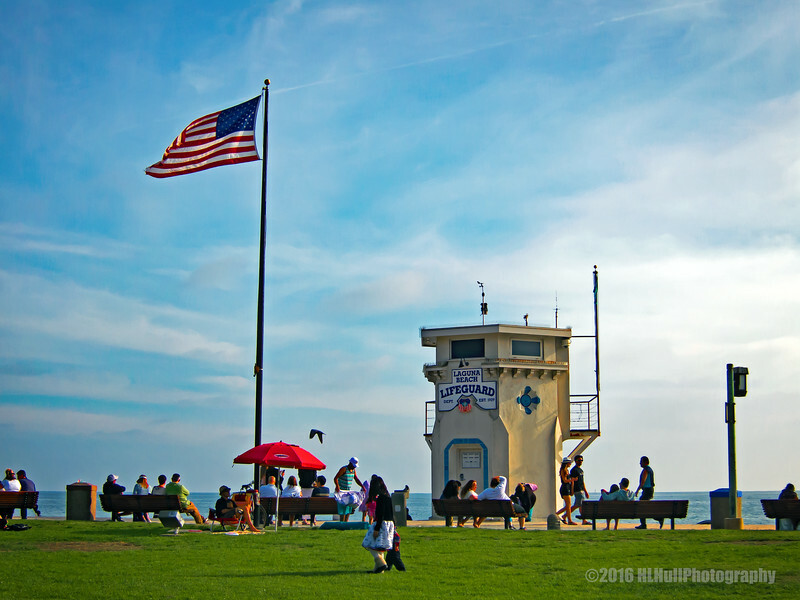 The iconic white Laguna Beach Lifeguard Tower is a visible landmark as you drive along Coast Highway (1) at the city's busiest, Main intersection where you'll seldom get to zip through without stopping for a light. Fortunate for you and me, there's plenty to see as you sit at the stoplight with your motor running and foot on the brake. There's the Pacific Ocean, Main Beach where people are usually lounging around or playing a round of volleyball or game of basketball, and there's that white, hexagonal shaped lifeguard tower that partially blocks your view. What better thing to do than take a picture? That's what millions have done, and city officials recognize the value of a photo op. In renovations of beach lifeguard services, the white building stays, though it sometimes gets a new coat of paint. The lifeguard tower at Main Beach is one of the city's treasures--it's a landmark that was once part of a gas station at Broadway and Coast Highway. Horse power was used to move the building to the beach in the 1920s and it faithfully served as headquarters till around 1985. A new lifeguard center was built at the north end of Main Beach at that time. The tower contains around 400 square feet of space and is now used for some lifeguard programs, storage, etc. The top floor is an observation room. The main floor holds first aid and rescue equipment, and a basement dug into the sand offers storage for surfboards and other equipment. Great capture of all that's going on around the tower. Excellent comp in this iconic view. Beautiful spring scene! I never tire of seeing "Ole Glory" flying high!